Lyrics: Found 3 lyrics at BusyR.com Lyrics Archive. Info: Unity Klan consisted of three members Big J. (Jarrod Richardson), Jaz (Jasmine Alarcon) and Danny Guzman. The latter MC left the crew, because he felt God told him to minister in San Diego. 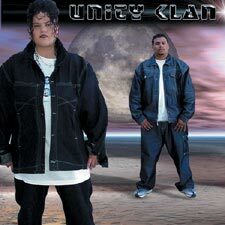 The Unity Klan turned duo released one last album in 2001 under the old name. Both Big J., Danny (as DG) and Jaz have released solo albums. I would like to write this to let all of our fans that I am not in Unity Klan anymore. The reason is that the Lord has called me to other things in the Ministry. God has called me to minister at my church in San Diego. And above all things I must be obident to the Holy Spirit. 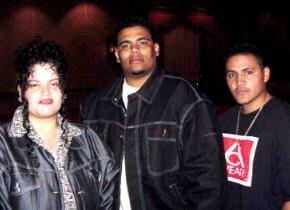 Unity Klan and myself still keep a good relationship and I love them, they understood the move and it was totally God. [...] God bless and I love you guys. 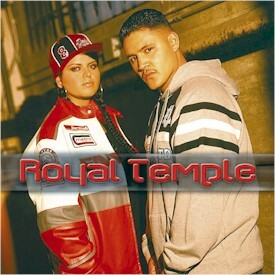 But Unity Klan gets reborn and adapts the new name Royal Temple. The crew now consists of Jaz and "DG" also known as Danny. The first selftitled album gets released by Rescue records in 2003. Info: First record of Royal Temple. Info: Production by Alchemist, Big J, Mickell Tyler and Micah Whitley.